Nanni Moretti's Cannes-approved masterpiece in the wonderful tradition of Italian hyperrealism. Concisely, La stanza del figlio (The Son's Room) is a hyperrealist sketch of one family's grief after the tragic death of their son. It is a short movie - barely over ninety minutes - and many of the scenes are silent, or punctuated only by character's tears. This might make it sound heavy-handed, melodramatic, or at least indulgent. Yet the PPCC guarantees that it is none of these things. Instead, The Son's Room is an evocative and compelling glimpse into life As It Is. The director, Nanni Moretti, rarely falls into the trap of turning this film into a tear-jerker, indeed it is bereft of cliché altogether. Instead, it is direct and hyperrealistic - and ultimately much more poignant than any standard sob movie. The film opens in Ancona, Italy. 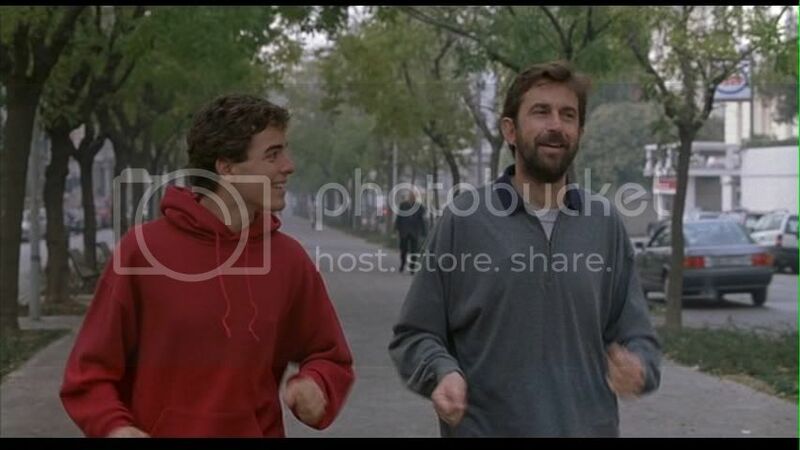 In a series of brief, vignette-style scenes which characterize the film, we are introduced to Giovanni (Nanni Moretti) and his family. Giovanni is a psychoanalyst with a variety of patients. His wife, Paola (Laura Morante), is a publisher, and his two children, Irene (Jasmine Trinca) and Andrea (Giuseppe Sanfelice), are happy and healthy. In these early scenes, the family is portrayed as perfect: well-adjusted, content, comfortable with each other. Yet this perfection rings authentic, and so it was with increasing unease that the PPCC watched the proceedings. Remember, if you're a character in a film and you're happy early on, you're doomed. One Sunday, Andrea is killed in a scuba diving accident. This happens suddenly and unexpectedly, and the film continues apace: there is the funeral, short scenes of intense grief, and the more long-term fall-out. Giovanni begins obsessing over what could have been if he had insisted that his son go out for a jog with him on that fateful day. Paola in turn becomes alienated from Giovanni, and begins to cling to a letter she has received from someone named Arianna, a girl who claims to have known Andrea the summer before he died. As things slowly unravel for the grieving family, Arianna appears unexpectedly on their doorstep. The composition of the scenes, as well as the quietly charming music from Nicola Piovani (of Life is Beautiful fame), is really what drives the film's beauty. The PPCC has seen this film many times, and every time we are so touched by the film's aesthetics that we do practically no intellectualizing. The film is small, elegant and absorbing. We identify immediately with these over-real characters. Also, it is very human: even in the pathos, there is gentle humor. For example, when Arianna has appeared on the family's doorstep, and the parents are in a rush of emotion, Paola asks, "Are you tired?" and Giovanni immediately follows up with, "Would you like to have a shower?" A variety of patients also provide relief whenever the family's tragedy takes center stage for too long. Indeed, a wonderful touch of Moretti's as a director is how he weaves the scenes of Giovanni with his patients into the overall plotline. More often than not, the patients - although speaking in an unrelated context - will voice exactly what Giovanni is feeling in that moment. "Finally, I can cry," one patient says, the day after Andrea has died, "I just want to cry forever." Later, when Giovanni is wracked with guilt over internal What Ifs (What if I had not let Andrea go diving with his friends? ), a severe patient says, "You always find excuses. But sometimes you just have to pay. I don't understand those people that don't want to pay." In an especially poignant scene, an elderly patient is speaking of her life as a young mother in Rome, "They asked me, 'When are the children coming?' I love children," and Giovanni begins to cry. Giovanni's fantasies about a perfect day out jogging with his son. This was also the original Italian cover. And then there is the son's room, literally. In three instances, characters enter Andrea's room in his absence. In the first case, Giovanni enters Andrea's room after the latter has been accused of minor shoplifting. The father searches his son's things vaguely, examines the room of a son he sometimes fails to understand. In the second case, Paola enters Andrea's room after his death, just after learning of his secret girlfriend. And in the third case, Giovanni is given pictures of his son in his room, new pictures he had never seen before. Each time, the son's room becomes a place of absence, longing, and bittersweet revelation. Each time, a new layer of the son's personality is revealed for the parents, and, after his death, their grief is accented as they realize that they did not know him so well. Nothing really happens apart from this. The acting is very good - subdued and honest. 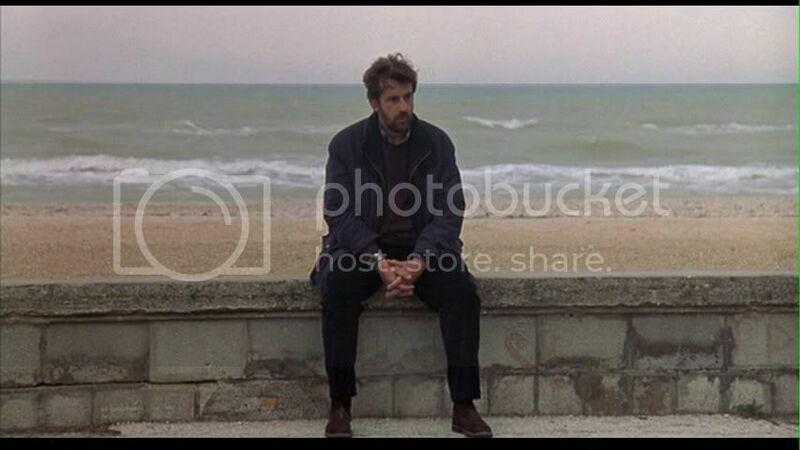 If anything, the PPCC noticed that Nanni Moretti's acting has staled with repeated viewings. However, the first few times, we found it very evocative and, indeed, he still carries the weight of the film. It is, of course, impressive that he directed and co-wrote. Laura Morante is elegant and both the children, Jasmine Trinca and Giuseppe Sanfelice, were effective.